Miranda's Mumbles, Murmurs and Mutterings: Mental Illness - a trend ? 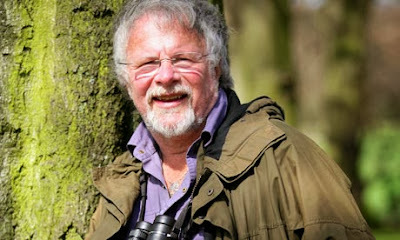 So I was APPALLED to wake up this morning to discover that Bill Oddie has claimed that celebrities are trying to make mental illness fashionable. "I am afraid I wholeheartedly disagree with Bill Oddie over this. There is no question that people like Ruby Wax and Stephen Fry are trying to make mental illness fashionable - the energy, drive and selfless dedication that Ruby has for this cause has changed the lives of THOUSANDS. She and Stephen did not choose mental illness. Ruby has done an extraordinarily courageous thing by studying neuroscience and talking extensively about her own experiences in order to help others - I have no doubt that she she never once has intended to make money out of it. In fact, I don't know any other person who has given up quite so much in order to trail blaze for an "unfashionable" cause in the way that Ruby has. There are many people who are so grateful for people like Ruby Wax and Stephen Fry for talking about their mental illness and for working so hard at educating those who don't understand it. In fact, Ruby has worked like a trojan - always thinking of others and never about herself. She is determined to get people help and not take the glory. If you know what depression is like,there is no way you would try and make it fashionable - you wouldn't wish it on anybody. Bill Oddie's comments have made me extremely angry because there is no question that Ruby has hindered people's understanding of such conditions - she has educated and helped MANY." Regardless of the fact that my view may be slightly biased because I know Ruby - even if her name hadn't been mentioned, I would still have written the above because I simply don't get why anyone would claim that people like her are trying to make mental illness fashionable. Its not trendy - in fact its pretty serious and lethal. Sounds to me like Bill Oddie needs educating - I bet he hasn't even read Sane New World, which isn't even about depression - its about how our brains work. Ruby responded to his comments too - here.